Discovery Bay #3019 Resolution Tower - Expansive Ocean View! FABULOUS location! 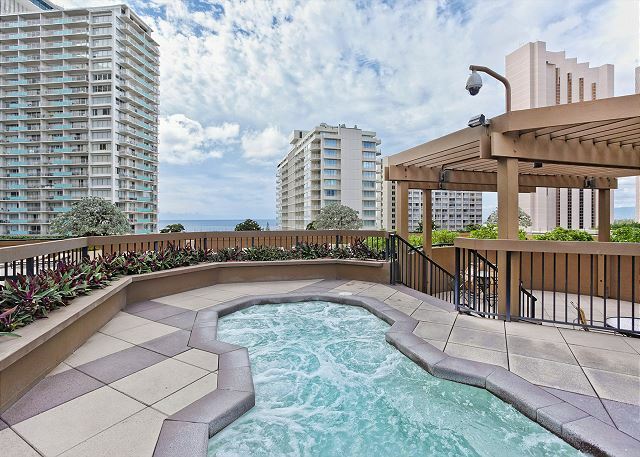 FABULOUS OCEAN VIEWS, FREE PARKING, WASHER/DRYER - THE BEST OF MONTHLY RENTALS! This spacious, 884 sq.ft. 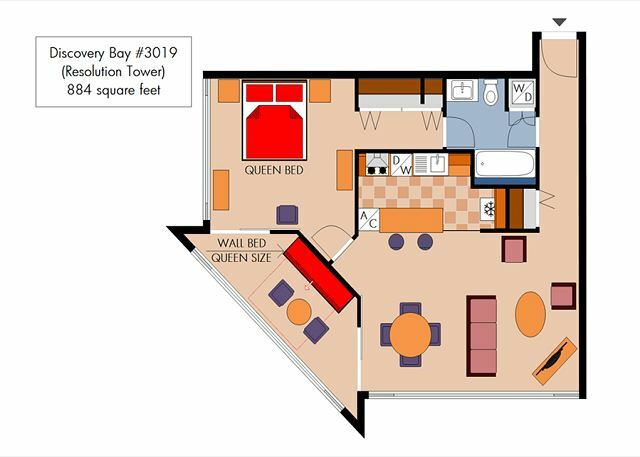 one-bedroom corner condo at Discovery Bay (Resolution Tower) has central A/C and incredible mountain, city, yacht harbor and ocean views! Sorry, no pets. This non-smoking accommodation sleeps 4. This condo is high up overlooking the marina with views of the water activities in the harbor area. Endlessly fascinating. You also see the back high hills of Honolulu. 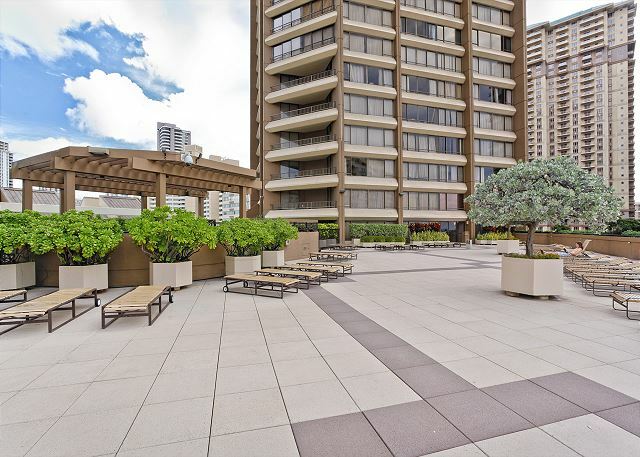 There is a convenient bus stop right in front of the condo complex, making it easy to go wherever you like, with the lovely Ala Moana mall (and new Foodlands grocery store) within easy walking distance, or a short bus ride. Beautiful parks surround this whole area, making walking around a definate pleasure. Perfect location. Aloha and mahalo for taking the time to post such a wonderfully detailed review and recommendation! We're delighted your stay was enjoyable and you appreciated the convenient location and views of this fabulous condo! We look forward to welcoming your back on your next visit to our beautiful islands! This was our second time staying at this condo. It was very clean, quiet and has very good views. It looked like the carpet had just been cleaned before our stay. 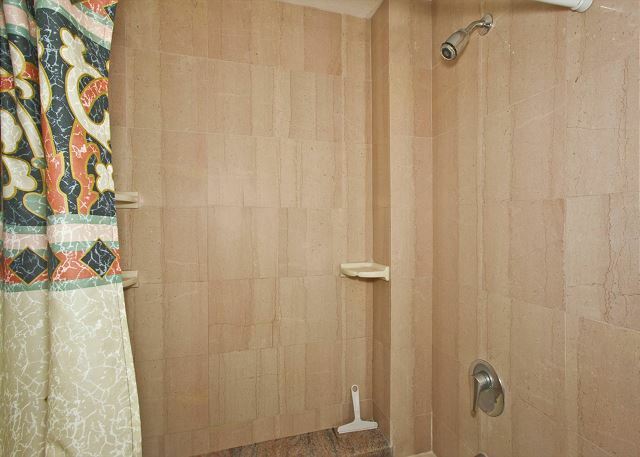 We noted only one issue: there is a suction-cup mounted handle on the wall in the shower/tub area, presumable for people to get extra support from. The first time we stayed here, it fell off the wall when I touched it. this time, it fell off in the middle of the night when we were nowhere near it. this seems like it could be a safety hazard if anyone was really depending on it. It's nice to have the handle there but a more permanent installation would be better and safer. Welcome Back! Mahalo, for the wonderful 5 star review and recommendation! We're delighted to have provided all of the needs you required for an enjoyable stay! I will pass your feedback about the safety bar on to your property manager to repair. We look forward to your next visit! Our vacation was excellent.Unit 3019 was comfortable and well equipped. The one thing we had issue with was the many floor mats.Kitchen and bathroom could have had a better clean. Mahalo! We are so pleased you enjoyed your Christmas vacation in this wonderful condo! We were sorry to hear you felt the kitchen and bathroom were not cleaned properly. Had you notified us immediately, we would have had Housekeeping back to the unit right away to make sure everything was up to our standards. In the future, please remember that the property manager is there to resolve any issues that may arise during your stay. We look forward to welcoming you back in the near future. Wow!! Excellent acomodations!! condo is clean, and has all the necessary and more. very relaxing and peaceful ambient. Security and condo personnel very friendly and extremely helpful. Cudos to them as well. You will never regret choosing this unit for your monthly or extended stay. I absolutely loved it!!! Thanks so much for leaving such a great review. Happy to have provided all of the needs you required for a wonderful, relaxing vacation! It's what we're here for! Hope you can visit us again soon! We really enjoyed our stay at Discovery Bay! Great location, usable space, relaxing lanai! We would recommend this in a hearbeat! Mahalo for the positive comments and 5 star recommendation! We are glad your stay was enjoyable and we look forward to seeing you on your next visit! We are very old couple from Japan. 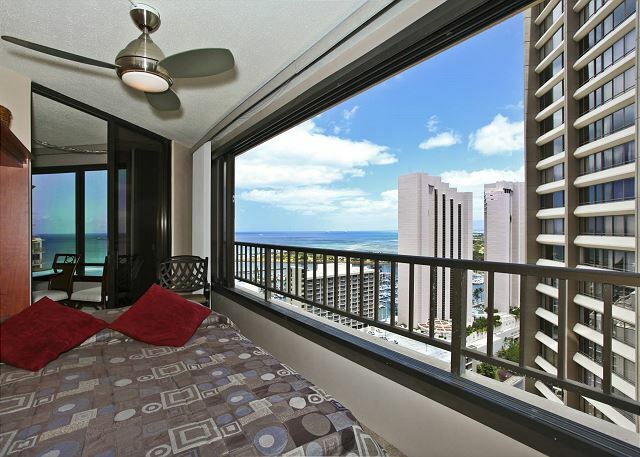 we lived a calm and healthy life for a month ,lookong the views of Waiikiki and Ala Moana beach from #3019. We wil come back again. Mahalo, for the lovely review! Hope you are able to plan a return trip soon! Mahalo, for the positive review and recommendation of your recent stay. We look forward to welcoming you back in the near future. Best Discovery Bay rental we've ever had! This is our 5th stay at Discovery Bay and by far the BEST. The view took our breath away every morning. LOVED the cleanliness of the unit. Did feel that there was an excess of pots and pans and utensils and wondered why there is no fan in the bathroom, but, these were minor details. Only real complaint is that 3019 is not available for us in 2018! Thanks, Jessica! Will definitely only deal with Captain Cook for our annual visits to your Island. Mahalo, Anni! So glad you enjoyed your stay! The room was very spacious with a fabulous view of the ocean. We could partially see the Friday night fireworks from our room which was nice. Everything was all set and provided well. The location was great. 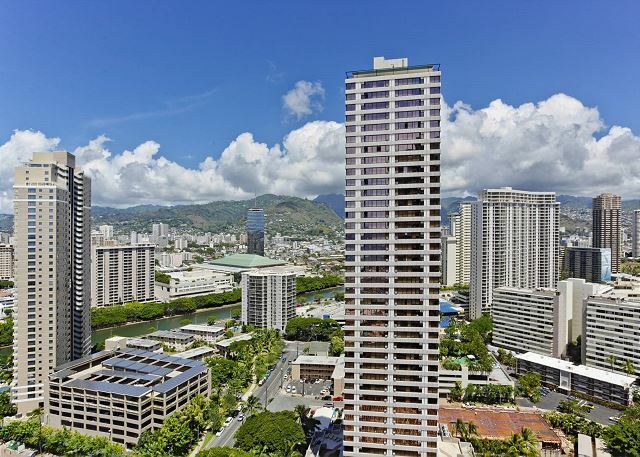 Not too close to Waikiki and not too far from Alamoana shopping center. Food pantry was 5 minutes away so it was convenient to buy groceries. The bus stop was just in front of us as well. Since we are use to the Japanese futon style the bed was too soft for us and the alarm went off every time we used the oven toaster. We could hear the traffic even on the 30th floor which was kind of loud and we could hear the noise up above us as well. Besides that everything was great and we enjoyed our stay!!! Mahalo for the positive comments and recommendation! Waikiki is a very active place and unfortunately there will be street noise in most locations. We appreciate and value your thoughts and feedback. We hope you’re able to return for another visit soon! This condo was clean, quiet and well furnished. It met all our expectations and we encountered no problems. Nice view from the living room. Mahalo for posting this great review and recommendation, Thomas! We hope you will visit us again! This was our third year in a row. Staying at discovery bay. Yes, we are booked in for next year. 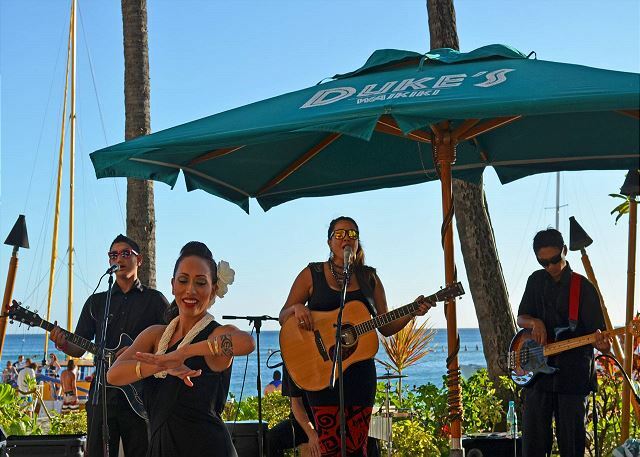 We just love the whole Hawaiian experience. Paul is always available and helpful in any requests we may have. We mentioned the chair in our review last year but that one chair is still there but do not eat n drink in it!!! Two comfortable chairs that an adult can relax in, with a drink would be appreciated. I have to cover all furniture with towels when we get there so they do not get marked. We are a bit over the attitude of the guys who haunt the pool area. They are like grumpy old men. little kids cannot even play with a ball or flotation noodle. They just need to lighten up and let kids be kids. Impeccably clean with ocean, mountain and marina views. 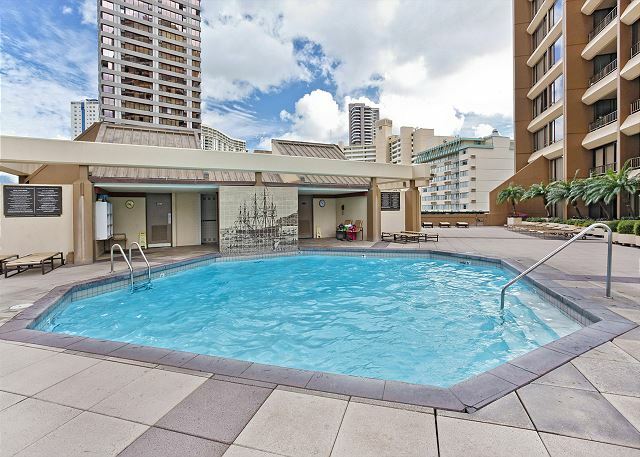 We are frequent visitors to Oahu, and out of our dozen condo rentals, this was the best by far. 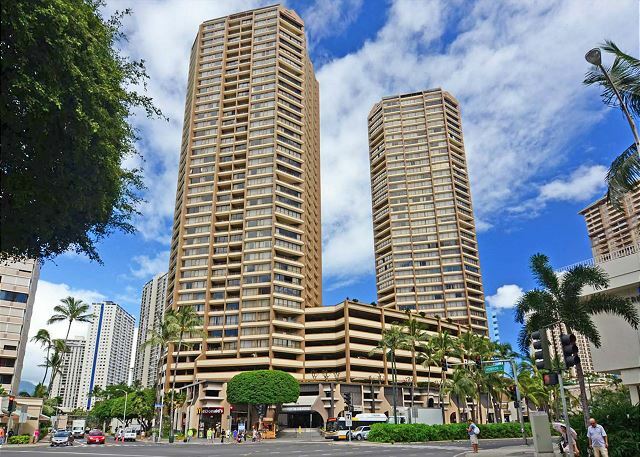 The location is at the gate of Waikiki which means you can avoid the heavy traffic when driving in/out of the condo. 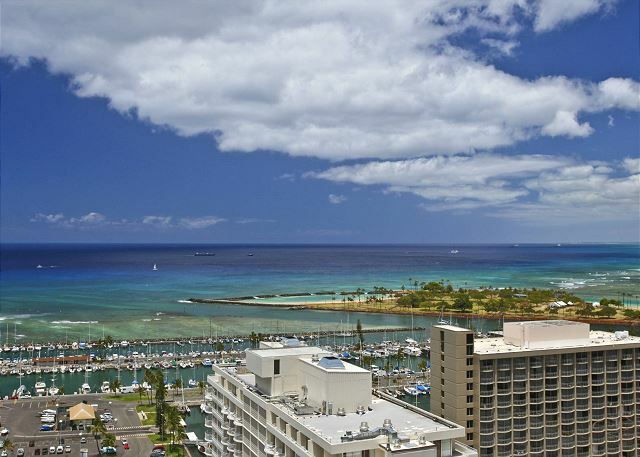 Waikiki Beach, the marina and the Hilton lagoon are across the street. 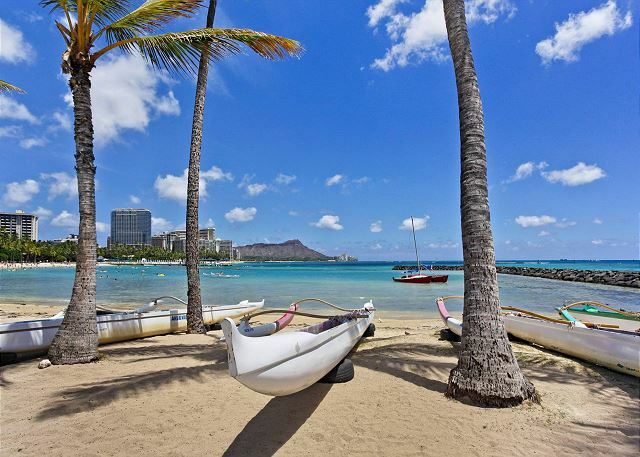 Ala Moana Shopping Center is a 15-min walk away. 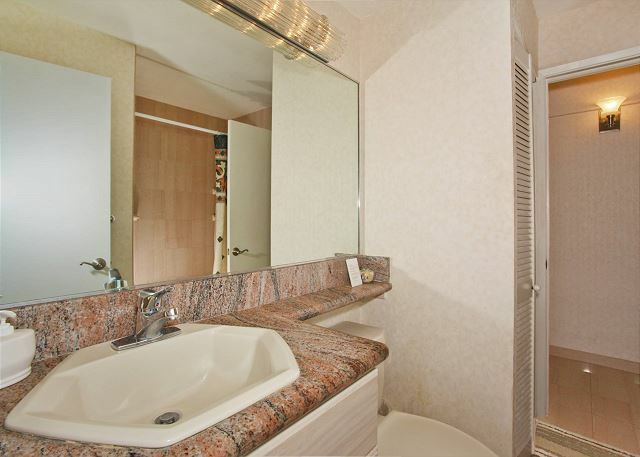 The condo was spotless and well-stocked with nicely remodeled kitchen and bath. The Murphy bed in the sitting room was comfortable for our 2 young daughters. The washer/dryer, dishwasher and reserved parking (next to elevator door)are a big plus. The building was quiet with light foot traffic. We highly recommend this rental. Another great long term stay at Discovery Bay. Just a shame that the owner chose, to what they thought was perhaps upgrade in their eyes, removed a great quality, comfortable, leather, easy living chair and put in an uncomfortable suede(or similar) chair that we were too scared to relax in, as we were advised by the owner, not to eat or drink in it.. Why put the chair in?? One bedroom unit!!!! you do not need a big three seater couch and another uncomfortable chair. TWO COMFY serviceable chairs are sufficient and necessary. Smaller dining table would create more space. Less is best. Yes, this is being very critical, BUT the huge increase in rent, for next year was because of the so called upgrade to furniture. Our investigations indicate that most rentals have gone up around 10% yet this unit has increased over 20%. Unfortunately the value for dollar on this unit has reduced a lot. However we do love Ohau so much we, will return and make the most of whats available. Love the facilities, love the views, love the location, can't wait to go back next year. We stayed in the Discovery Bay for the past 12 years and with few small " hick ups ", our 5 star rating truly represent the apartment and our stay. The owner has our 5 star, for well furnished and decor the unit. As for the Captain Cook staff, No complain,5 star, as well. Hawaii is a great place to vacation and with excellent accomodations it makes it all that more enjoyable. After visiting Hawaii for many years with our children, now being there in retirement 90 days was not long enough. 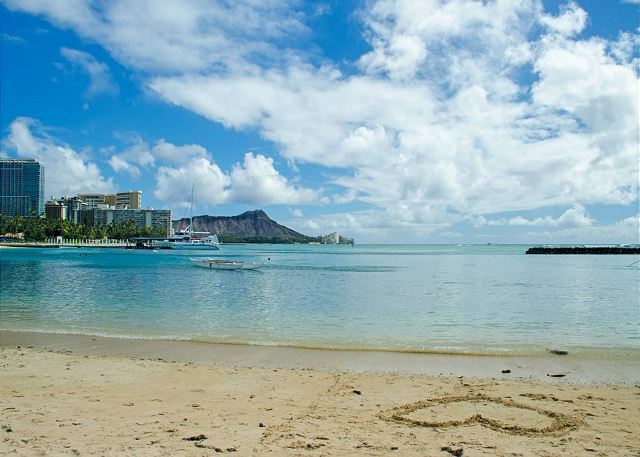 We just loved the whole experience of an extended time on Oahu. Discovery Bay 3019 met all our expectations plus some. Next year cannot come quick enough. Everything was clean, the view was super, and we loved the location. Would sure like to go back!!! We were pleasantly surprised at the beautiful views from all of the rooms. Truly breathtaking! 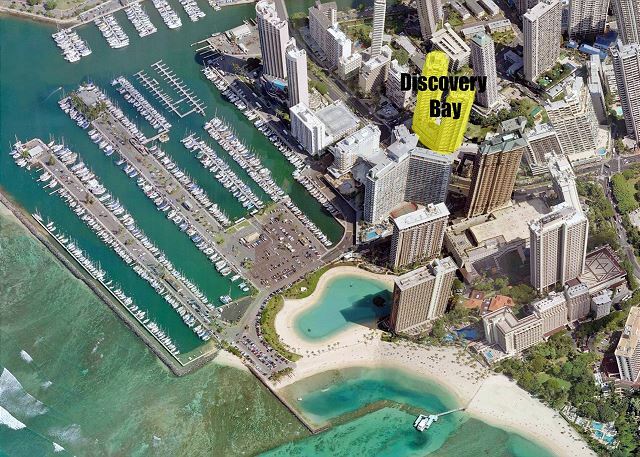 Ideal location for beach and shopping. Time went too fast even with three months there. We were also pleased with the close location of the bus stop (used it often). Overall it was a fabulous place to stay in Paradise! This was the second time at this property. This is a corner unit which had a great view of the mountains on one side and the ocean on the other. Good location, most likely I will be back. Our stay was very comfortable. Condo was very clean and the furnishings were very good.Location and the views are spectacular.Close to town and reserved parking made it very easy.Needless to stay, we would come back. Property Manager and staff were excellent. From the time we made reservations till the time we left. They can always be reached. Great job!! The condo, location, view and amenities were first class. It was as classy as being at home and as well appointed. A great experience.